We Are Buying Homes In Westerville And The Surrounding Areas! Before you list your Westerville home, get a fast, no-obligation offer! We are direct buyers who are ready to pay you in cash today! We don’t care about the condition or the situation you are in. 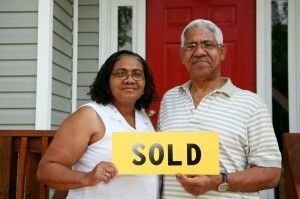 Our mission is to help you by paying you a great price for your unwanted home. From start to finish, our process is streamlined and simple. We want to make the process easy for you so you can sell the house and move on. You don’t have to feel stuck with a property you no longer wish to own! Selling your Westerville house has never been easier. There are no hoops to jump through. From day 1 you will know exactly what we can pay you and on what day we can close. We are an open book and will answer every single one of your questions along the way. We started purchasing run down homes in 2012. We wanted to help people who had fallen on hard times and didn’t want to see their home (and credit) lost to foreclosure. We aim to provide a fast and fair alternative. Now, years later, we have helped hundreds of people, in all sorts of situations! Liens, divorce, change of job, downsizing or family expansion, whatever your reason, we want to buy your home now! Want to Know Something The Agents Won’t Tell You? Successfully selling your home on the MLS can take months and cost a fortune. Sales fall through, your price may be too high, and you might have a lot of competition in your immediate area. Plus, you could be faced with all sorts of costs that come when you put your home on the market. Think about it. Repairs, upgrades, the costs of utilities, taxes, and insurance, high commissions, agent fees, closing costs… it can add up to thousands of dollars! You won’t have to worry about any of that if you choose to work with Sell House Columbus. No strangers parading through your home for open houses and showings. No gambling on your closing date. We want you to be able to plan your future! Don’t wait months, hoping a buyer comes along. You can sell your house right now for a great price! Think about all the money you’ll save and what you could be doing this time next week with all that extra cash! Tired of being burdened by a home you no longer want? Now is the time to sell and find something you will love! You don’t have to feel stuck with a home you no longer want! Get your custom offer today, and close in as little as a week! We are buying right now in Westerville, Ohio. Are you thinking about selling you Westerville house? Get a fair and honest all cash offer now! You’ve got nothing to lose, we make the entire process no-hassle, no obligation and completely risk-free! We can’t wait to talk to you!